The medium of film has a really unique way of pulling on heart strings and carrying emotional weight in two hours that other mediums cannot even hope to accomplish. In many ways, films do this with certain emotional, almost cliché, beats that are designed to manipulate the audience to get this desired reaction. While other film create this vast array of emotions without the big sweeping tragedies or heart wrenching twists. Other films craft their storytelling in such a way that they feel real to an alarming degree, becoming extraordinarily powerful along the way. Manchester by the Sea is one of those other films. 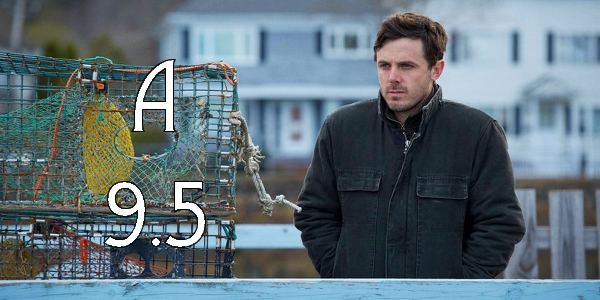 Lee Chandler (Casey Affleck) is a brooding, irritable loner who works as a handyman for a Boston apartment block. One damp winter day he gets a call summoning him to his hometown, north of the city. His brother's heart has given out suddenly, and he's been named guardian to his 16-year-old nephew (Lucas Hedges). As if losing his only sibling and doubts about raising a teenager weren't enough, his return to the past re-opens an unspeakable tragedy. Manchester by the Sea has an interesting way of getting its story to the audience. There is no apparent structure, as in very little definition to the first, second, or third acts, relying on the use of flashbacks in a subtle way to really get to the core of the characters presented. The film doesn’t talk down to the audience when using this device either. There are no years or dates to place the scene on the screen, just the assumption that the viewer is smart enough to figure out when the events are taking place. And it works wonderfully, tying each element together to really peel back the layers of the dynamic between these characters. The characters, and the performances behind them, are truly the crux of the entire film. Casey Affleck, the film’s main character, is largely unlikable near the beginning of the film, in his actions and decisions. But as the film progresses, the story and Affleck’s subtle performance reveal why he behaves in this way. It’s a testament to Affleck’s ability to give a more subdued performance and still get across so many emotions and thoughts. It’s highly likely that he’ll get a nomination and quite possibly be the front-runner. Of course he has support from the lovely Michelle Williams, who despite not having many scenes still delivers an outstanding performance, and Lucas Hedges, who breaks through and holds his own right alongside Affleck. The cast is all around fantastic and truly a perfect example of nearly perfect performances. The success of Manchester by the Sea can whole-heartedly be traced back to the work of Kenneth Lonergan. The writer and director build this layered drama that feels like an observation into the real lives of real people. The tension builds with each subsequent scene, creating carefully thought out characters that the audience cares about. Lonergan comes so close to crafting a perfect film from start to finish. 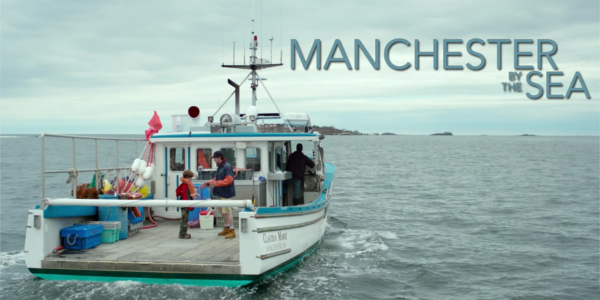 Overall, Manchester by the Sea is a stupendous achievement in representing human drama. The performances are stellar and a clinic in how much work can be done in garnering emotion from the audience. The nominations will come in heavy for Manchester by the Sea and they’re clearly well deserved. So what did you think of Manchester by the Sea? Have you seen it? Subscribe, share, comment below, and as always return to I Am Sam for weekly reviews and insight.